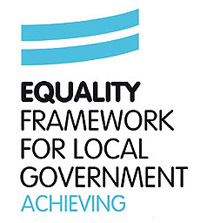 In September 2016, Brighton & Hove City Council underwent an external peer challenge and was successfully assessed at the ‘achieving’ level of the Equality Framework for Local Government (EFLG). The EFLG is run by the Local Government Association and is the only nationally recognised equality assessment for councils. It covers all aspects of our work and all the characteristics protected in law. For more information go to the Equality Framework on the Local Government Association website. The assessors identified areas of strength and areas to improve. Read the full report (PDF). All the areas for improvement have all been built into our new Equality & Inclusion Strategy (PDF 400KB) and embedded in directorate and service plans. Our goal now is to build on our strengths and make the changes needed to achieve the top ‘excellent’ level of the EFLG by 2020.